Jelly Belly Candy Company continues its sponsorship of the Jelly Belly Cycling Team for a 16th season. The world’s longest-running title sponsorship in professional cycling is looking forward to another strong season with several exciting additions to the team roster. Tire company Maxxis is also returning as presenting sponsor. Four-time U.S. National Champion Fred Rodriguez returns to race his final season, wrapping up a storied career that included appearances in all three Grand Tours and netted a stage win in the 2004 Giro d’Italia. 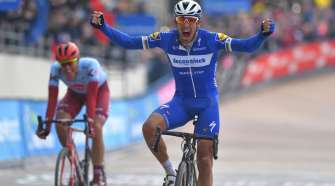 Australian rider Lachlan Morton comes to the team from WorldTour squad Garmin-Sharp, joining his former teammate and strongman Jacob Rathe, who returns to Jelly Belly p/b Maxxis for a third season. Lachlan will be riding alongside his brother Angus Morton, an all-around cyclist. 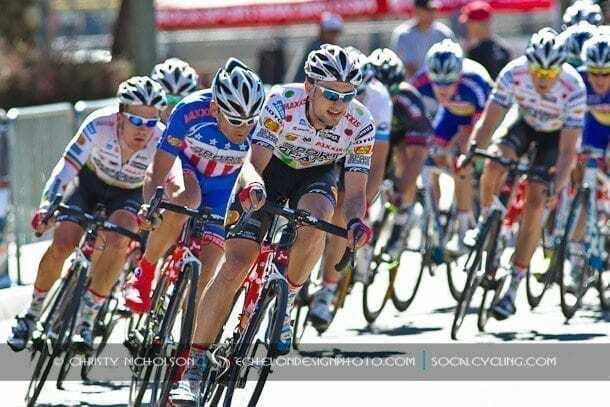 Also new to the 2016 roster are Americans Gavin Mannion (from 5 Hour Energy) and Joshua Berry, the 2014 Tour de Beauce King of the Mountains jersey winner, formerly with Team SmartStop. Moldovan riders Nicolae Tanovichii and Alex Braico round out the list of new riders. In addition to Rodriguez and Rathe, the team will bring back the pedal power of Americans Jonathan Freter, Steve Fischer, Sean Mazich and Andrew Sjogren. The team bids farewell to Serghei Tvetcov, who recently signed with Pro Continental squad Androni Giocattoli-Venezuela. Tvetcov enjoyed tremendous success in three seasons with Jelly Belly p/b Maxxis and though he had offers to ride in Europe much sooner, he felt another year in the U.S. would serve him better. With a repeat win at the Cascade Cycling Classic and a spot on the final podium at the 2014 US Pro Challenge, it appears he made a smart decision. Several new sponsors have signed on for 2015: Full Speed Ahead bicycle components and bottle cages, apparel sponsor Squadra, Microshift drivetrain and Doc’s Skincare chamois cream and natural skin products. The team is pleased to welcome back bicycle sponsor Argon 18, Speedplay pedals, saddle sponsor ISM, Rudy Project helmets and eyewear, WD-40 Bike, Inno Advanced Car Racks, CatEye bicycle electronics and Kurt Kinetic trainers. The ambitious 2015 race program will include numerous NRC events in the U.S. 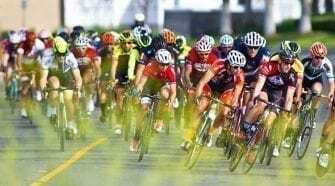 The team hopes to draw invitations from the UCI North American races, including the Amgen Tour of California, the U.S. Pro Cycling Challenge, the Tour of Utah and the Tour of Alberta. Team director Danny Van Haute said he’s fielding a squad that will measure up to — and probably exceed — the success of 2014.